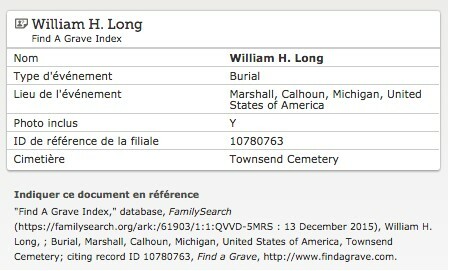 The search for the family of William H. Long was not easy, since there were many individuals by the same name in Michigan from 1860 to 1900. Moreover, some of them were soldiers in the Civil War. 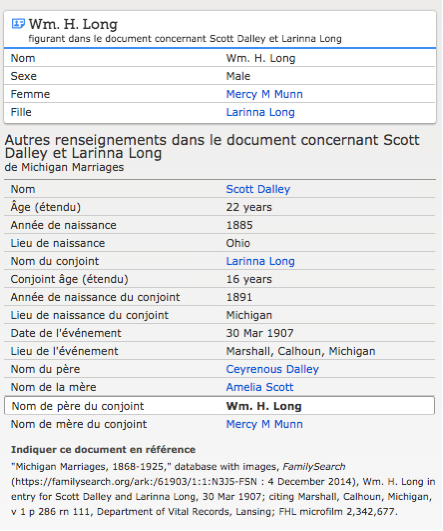 I am not publishing every document pertaining to the Long/Munn family. 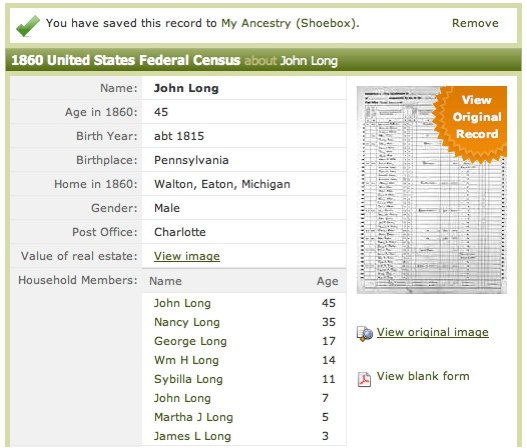 Using those that I have selected, anyone can easily find the missing ones in order to complete a family tree. I have, in fact, retained the following ones for various reasons. The main one is the fact that (according to my research…) William’s brother, George Jackson Long, married Aucillia C. Munn in 1869 from Illinois USA. 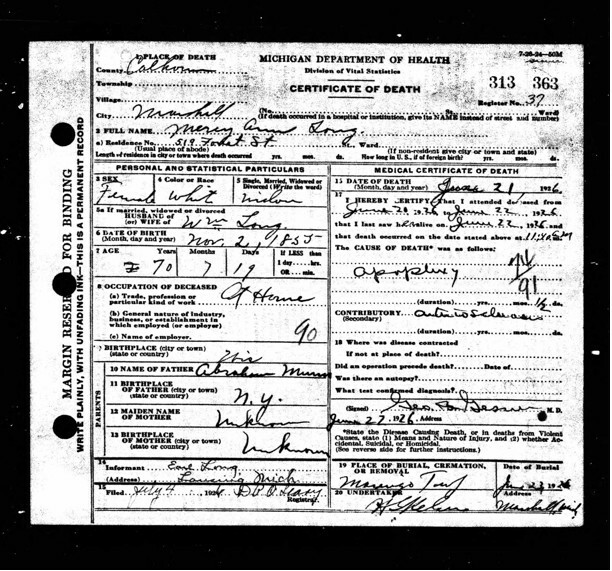 William H. married Mercy Ann Munn (also known as Mary Munn and Mercy Munn in some documents) from Illinois (New York in other documents). 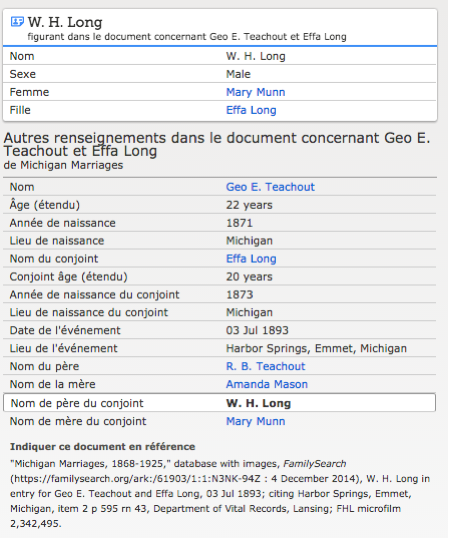 So, brothers married sisters. 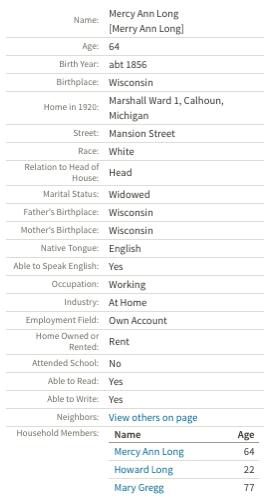 William H. first appeared in the 1850 Census at Gaines Orleans New York. 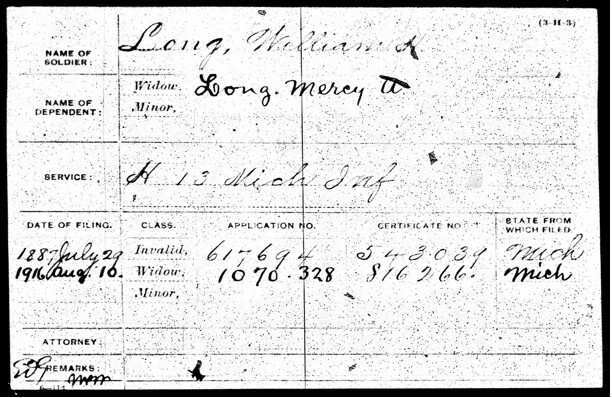 He was six (6) years old, hence born about 1844. 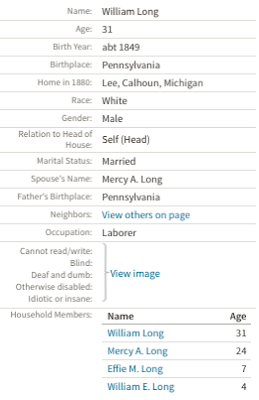 Ten years later, he appeared in the 1860 Census at Walton Eaton MI. He was 14 years old. There is more than 10 years difference between these two screenshots. 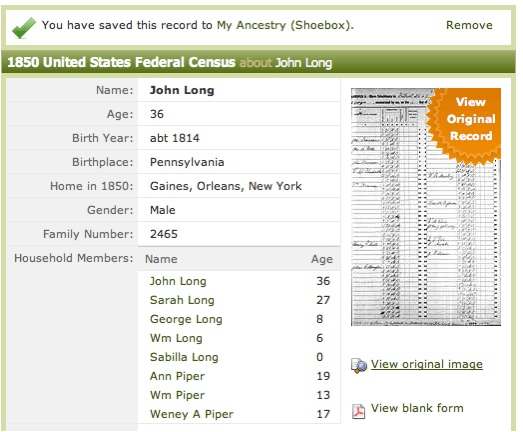 Sarah Ann Piper had died and John R. had remarried with Nancy M. Parker from New York NY. 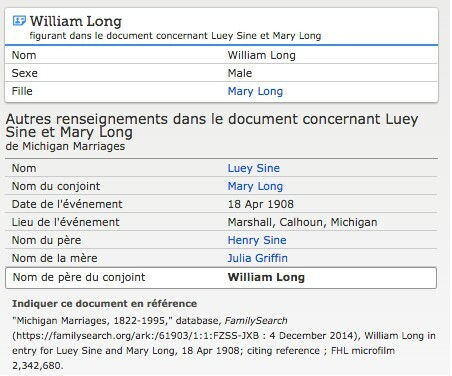 Up to now, I have found the following members of the family of William H. Long & Mercy A. Munn. 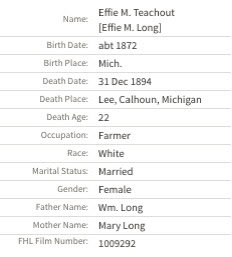 The family appeared in the 1880 Census from Lee, Calhoun MI. The age of William in this document is incorrect. The family is shown in the 1910 Census taken at Lee Calhoun MI. Effie M. & William E. had left the family. The couple had two children under their roof: Tom A. (Thomas Robert) & Howard. 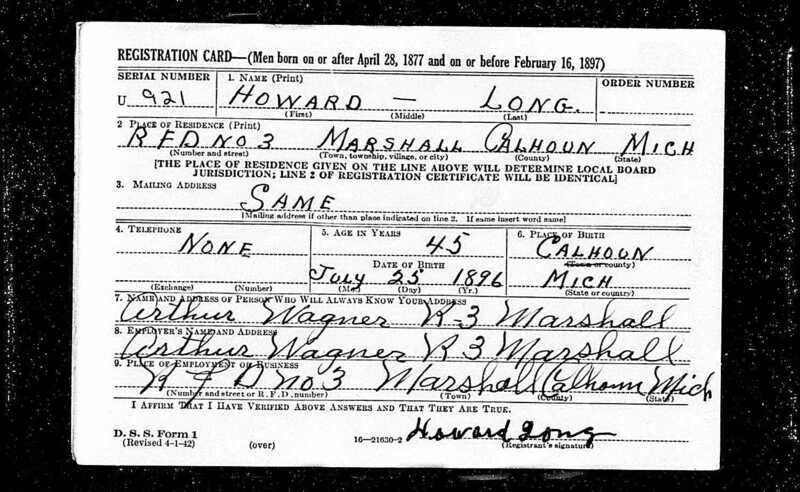 In the 1920 Census at Marshall MI, only Howard is living with Mercy Ann Munn-Long. 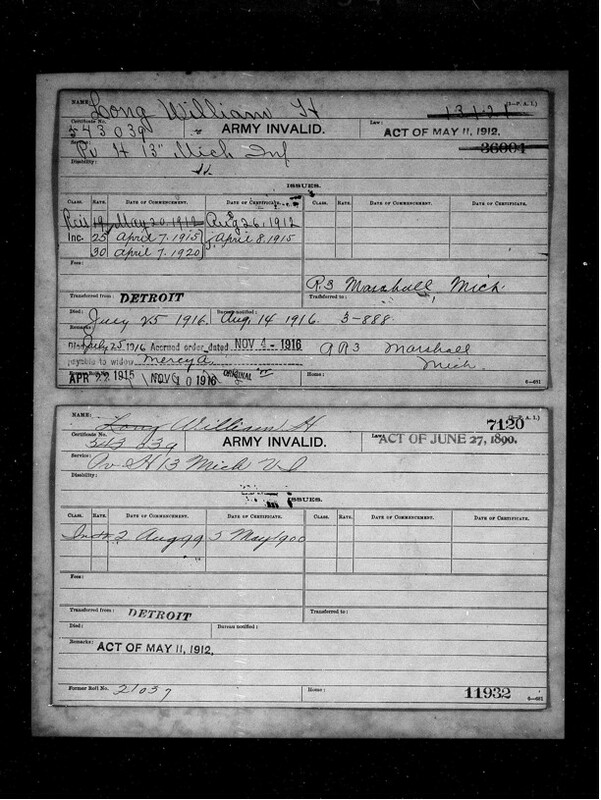 William H. died in 1916. Harbour Springs MI. 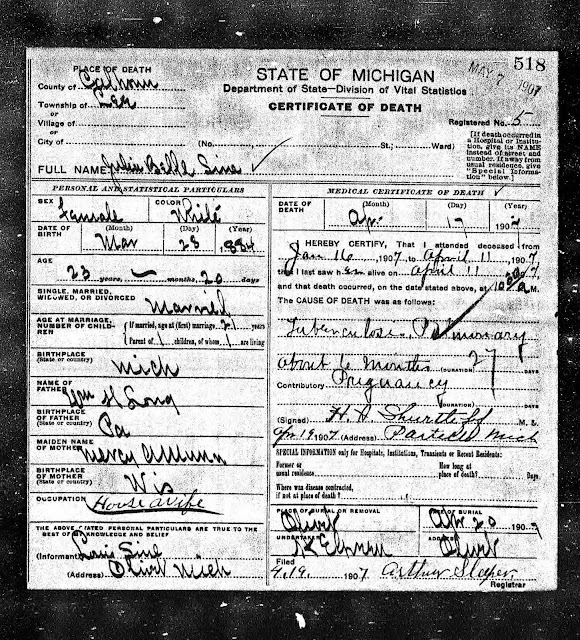 in July 03, 1893. 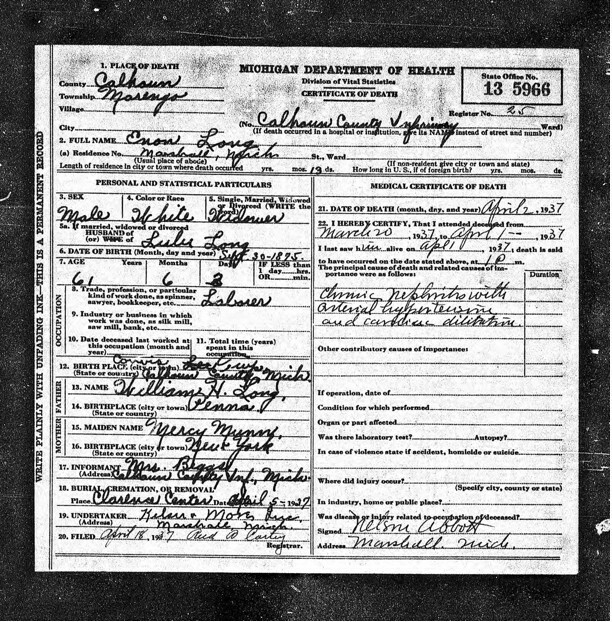 Marriage of Lovina to Ernest Edward Hopkins. NB. 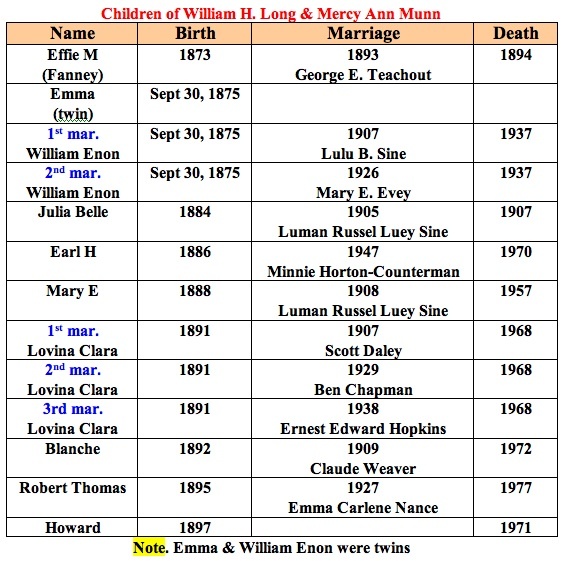 She was the twin of William Enon. in Marshall MI. 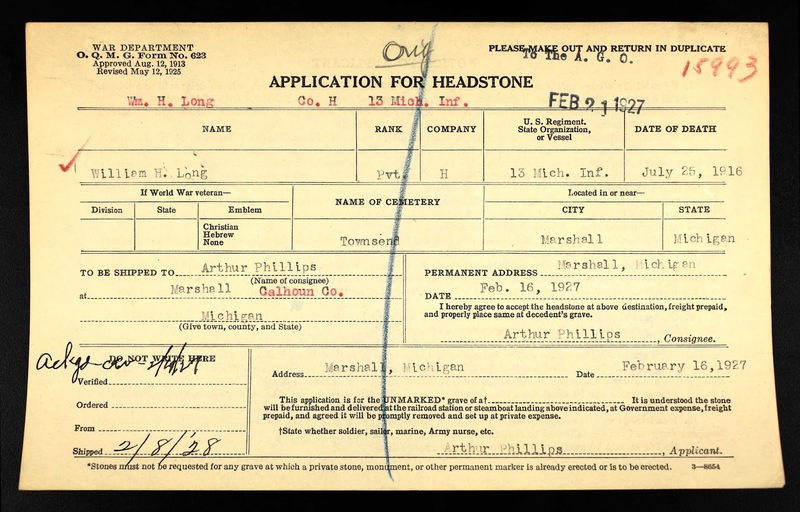 on April 18, 1908.
on February 18, 1927 in Marshall MI. William H. Long was declared a war invalid on July 29, 1887. 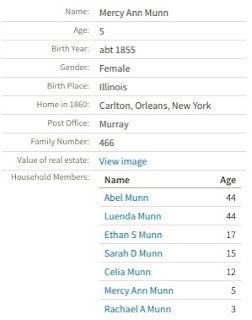 His wife was Mercy Ann Munn. 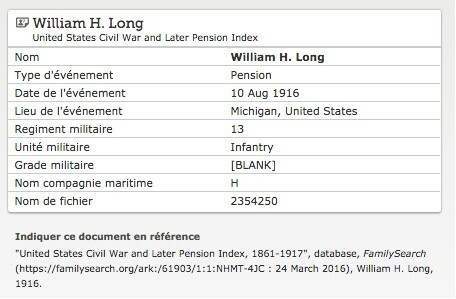 He was part of the H-13 Michigan Infantry. 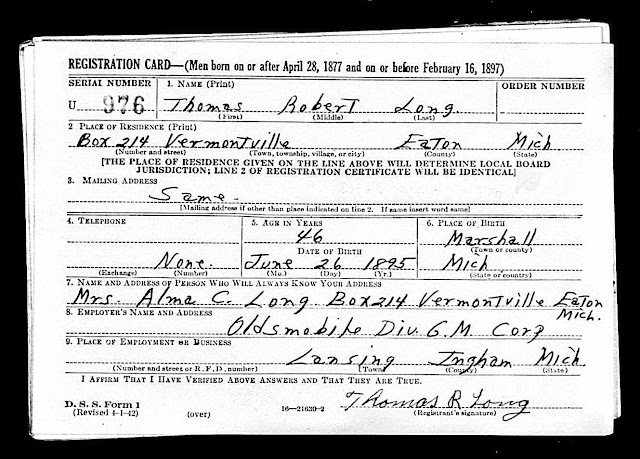 He died in August 10, 1916.
on June 21, 1936 in Calhoun MI. 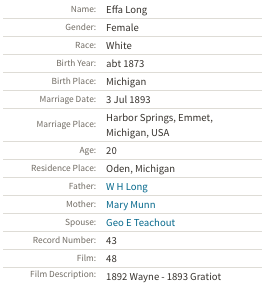 and she was born in New York NY. This 1860 Census taken in Orleans New York is quite revealing, since John R. & Sarah Ann Piper lived in Orleans in 1850.
the Long & Munn families met there.